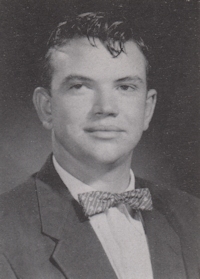 Obituary – Branham, Gene Ray « Perry High School Alumni Association, Inc.
Gene Ray Branham, 74, passed away Sunday, March 6, 2016 at Integris Baptist Hospital in Oklahoma City, Oklahoma. Graveside services will be held at 2:00 p.m. on Friday, March 11, 2016 at Grace Hill Cemetery, Perry, Oklahoma under the direction of Palmer Marler Funeral Home, Perry, Oklahoma. A visitation will be held on Thursday, March 10, 2016 from 9:00am to 8:00pm with family greeting friends from 6:00pm to 8:00pm at the Palmer Marler Funeral Home of Perry. Gene was born on March 21, 1941 in Perry, Oklahoma to Raleigh Monroe and Noma Fern (Smith) Branham. He grew up in rural Noble County and attended several country schools before transferring to Perry High School in the 9th grade. He graduated from Perry High School in 1959. Gene has lived in the Perry area all his life. He married Mary Jane Loula at the First Baptist Church in Perry on June 1, 1963 and they had one daughter, Mary Dianne (Richardson) Jacobs. Gene joined the National Guard in 1963 and served for six years. He was honorably discharged with the rank of Sergeant E5. Gene worked on local farms and as a roughneck in the oilfield before going to work for Ditch Witch. He retired from Ditch Witch in 2000 after 33 years. Gene worked for Kemnitz Oil Company before going to work at Ditch Witch. After he retired, he again worked for Kemnitz at the station and delivered bulk fuel. He enjoyed working on and rebuilding old tractors. He liked to take an old piece of equipment that had served well and make it look like new again. He also enjoyed keeping his large yard looking nice and the birds and squirrels well fed. Gene was a huge OU fan and never missed watching OU play football. Survivors include his wife, Mary Jane of the home; his daughter, Dianne (Richardson) Jacobs and her husband Josh of Edmond; granddaughter, Traci Kay Richardson of Perry; grandson Bradley Jacobs of Edmond; sister Frankie Langford and her husband H. C. of Stillwater; niece Tammie Wilda and her husband Kevin of Chickasha; niece Terrie Boatright and her husband Brant of Manchester, Missouri; nephew Tim Langford and his wife Mandy of McAlester; nephew Allen DeVilbiss and his wife Tami of Perry; nephew Paul DeVilbiss of Crescent; nephew Leon DeVilbiss and his wife Carolyn of Perry; and his very special dog, Maggie. He was preceded in death by his parents Raleigh and Noma Branham; a sister, Betty Miller; a grandson, Kyle Richardson; and a niece Barbara DeVilbiss. 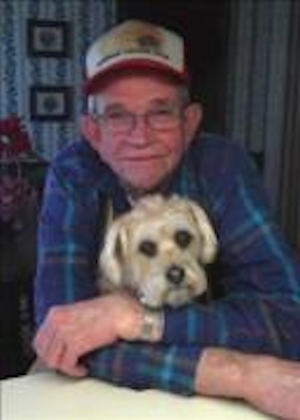 In lieu of flowers, the family requests memorials in Gene’s name be made to Noble County PAWS or Perry Humane Society in care of Palmer Marler Funeral Home of Perry at 203 E. Fir, Perry, Oklahoma 73077.